Chhaperia installs the quartz infrared heating elements in the system as requested by the client. The tests are performed at every stage, and the configuration, properties, turns of the coil and length or diameter are determined based on the usage. Most of the industries use quartz infrared heating elements for various manufacturing processes or fluid transfers. The examples include emitter banks, heater systems, coating curls, plastic welding, and heating, etc. 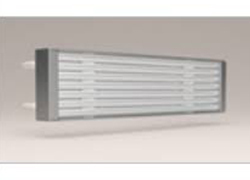 IR Quartz heaters from Chhaperia can withstand the power up to 240V/450W. Meeting all the heating requirements, Chhaperia continues to manufacture quartz infrared heating elements with standard quality. We lead the industry by focusing more on quality other than on anything else.